We do not support export outside the United States. No exceptions. We are not here on weekends. Vivid colors, with a truly satisfying circular motion pattern! 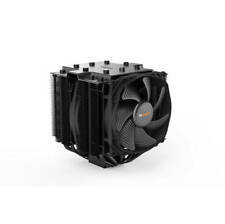 Aigo DarkFlash Shadow Air Cooler Aura Sync Unboxing and Demo - YouTube. Does not support 12 volt 4 pin (Aura Sync) style connection! 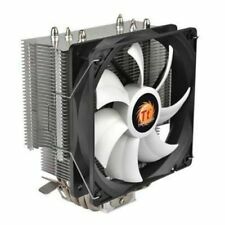 4 Pin CPU fan connector only - full motion vivid color display. 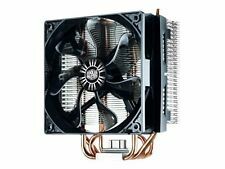 Heatsink Cooling Fan E97378-001. 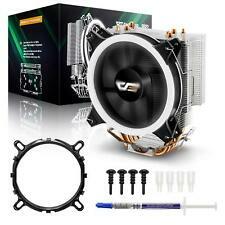 Compatible Processor Sockets: Socket H/LGA1156 Socket H2/ LGA1155 Socket H3/LGA1150. - Fan Bearing Type: Hydraumatic Bearing. 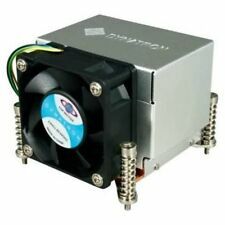 - Fan Speed: 1x 2800 rpm. the removal process, but are fully operational & function. GeminII M5 LED. 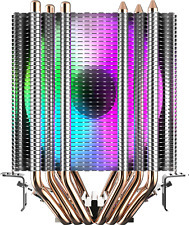 A unique heat pipe layout is utilized that orients the heat pipes to direct the flow of heat more efficiently to the aluminum fins where the heat is exhausted. Much like the GeminII S524, GeminII M5 LED features an airflow design that is 90 degree rotated to avoid heat radiating from the motherboard. Its HP part number is 644724-001. It is new and has never been used. It is compatible with the HP Pavilion Elite HPE H8-1220 Desktop, the HP Pavilion P7-1241 Desktop, the HP Pavilion P7-1423W Desktop, and the HP Pavilion Slimline 400-034 Desktop. CPU Applications Rated Current: 0.1810%A. Product pictures may not reflect the most recent product revision. Socket Type Bearing Type: Hydro Bearing. Mfr Part Number: CK-11509. Product Condition: New. 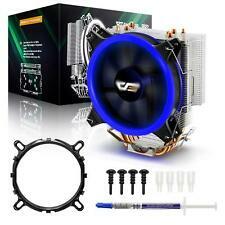 AMD Socket 100W. 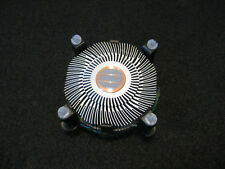 Heat sink (Group):85X57X112mm. Scope of application. 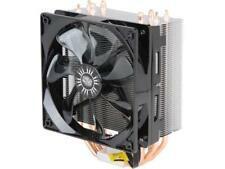 Dual 80mm mute fan, 112mm high compatibility, performance and practical integration. Fan size: 80X80X25mm (2PCS). Fan speed: 2200 10%RPM. Brand new cooler and never used. It’s too big for my ITX setup upon opening up the box to see the actual cooler. Nothing has been altered and all the accessories are included. The specs are in the photo. I will be shipping this cooler “as is”. I ship In the USA/International and all orders from me will have a handling time between 1-3 business days. Feel free to leave feedback about your order. Thanks!! 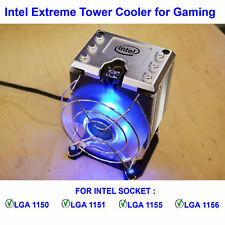 Socket Type: LGA 1150/ 1155/ 1156. Mfr Part Number: K5. 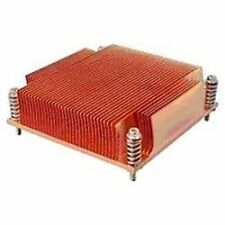 Material: Aluminum 6063-T5 extruded radial fin heatsink. 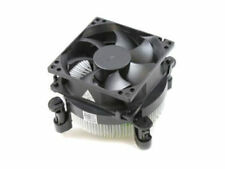 Fan: 92.0 x 25.0 mm. California Law. These fees are non-negotiable. This includes California residents.